Unique, patented design holds any standard size bottle securely in place. Provides hands-free carrying for all activities, including jogging, exercising, errands, traveling, gardening, and much, much more. 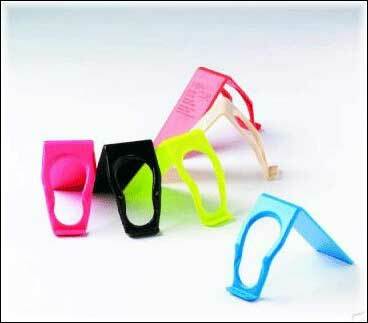 The HIP-CLIP® Bottle Caddy attaches easily to clothing, bicycles, bags, strollers and more. Available in six exciting colors: red, blue, beige, black, fluorescent pink and fluorescent green for people on the go.